In ceremonies which he said “touched him the most,” Dr. Richard J. Roberts, 1993 Nobel Laureate in Physiology or Medicine, was conferred by UP the Doctor of Laws, honoris causa, for his contributions in molecular biology, without which UPLB would not have been able to produce its biotechnology products. 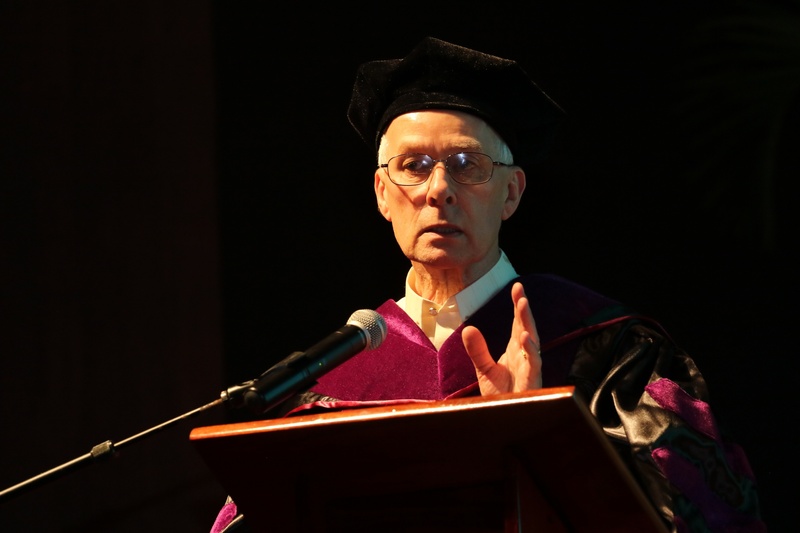 Dr. Roberts received the honorary degree during a ceremony on Nov. 21 at the DL Umali Hall in UPLB. Dr. J. Prospero E. De Vera III, chair of the UP Board of Regents (BOR) and the Commission on Higher Education, and Atty. Danilo L. Concepcion, president of UP, spearheaded the awarding ceremonies. “I’m overwhelmed. This is an unbelievable honor. It is something I will remember for the rest of my life,” Dr. Roberts said. UP recognized Dr. Roberts for his discovery of split genes and RNA splicing. His contributions to the wide availability of restriction enzymes have also paved the way for many of UPLB’s biotechnology products. 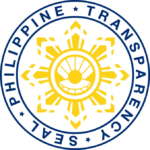 The University also took note of his advocacy for the production and consumption of genetically modified organisms (GMOs). He has persuaded 138 fellow Nobel awardees to sign a manifesto supporting the safe and responsible use of recombinant technology in improving plant varieties to produce GMOs. In his address and lecture during the event, Dr. Roberts talked about his stand favoring GMOs. “GMO is safe. There is no evidence whatsoever that GMOs are dangerous. There has not been a single credible problem posed by GMOs since they were first introduced,” Dr. Roberts stated. “GMOs are safer than conventionally bred foods for a simple reason that [compared to] conventional breeding, in GMOs, you know exactly what’s in it,” he added. Dr. Roberts said that precision breeding selects only a particular gene to improve the quality of plants, such as resistance to specific pests. He cited Bacillus thuringiensis (Bt) Corn, Bt Eggplant, Golden Rice and Rainbow Papaya as examples of these GMO crops. He also emphasized the role of GMOs in providing more food, particularly to children of developing countries who suffer from food scarcity and vitamin deficiency. “If you want to make decisions about supporting or not supporting GMOs, have a heart. Think about these kids in Africa. They need food and they are not going to get the food they need by traditional methods, but they can get it by using GMO methods,” Dr. Roberts ended. Witnessing the awarding ceremony were Hon. Angelo Jimenez and Hon. Frederick Mikhail Farolan, both members of the UP BOR; Atty. Roberto Lara, secretary of the university and the BOR; and Chancellor Fernando C. Sanchez, Jr.
Also present were National Scientist Dolores Ramirez and National Academy of Science and Technology Academician Dr. Eufemio Rasco, Jr., who introduced Dr. Roberts.